Let’s open our Bibles to 1 John 5:4. This verse is a good theme verse for this message. It says, “For whatsoever is born of God overcometh the world: and this is the victory that overcometh the world, even our faith.” Faith is the victory that overcomes the world. Our faith is very important. First, let’s look at a few principles. The Scriptures declare: “The heart is deceitful above all things, and desperately wicked: who can know it?” (Jeremiah 17:9) Is this talking about a righteous man? No! This is someone who has not been born again. When we came into this world we had a heart problem. The Bible says, “The natural man receiveth not the things of the Spirit of God.” (1 Corinthians 2:14) We were born with a wicked heart, giving us the natural tendency to do wrong. Most of the time, when the Bible uses the word “heart” it is referring to the mind, where a person thinks. For example: “The thoughts of his heart was only evil continually.” (Genesis 6:5) In this context, the heart is not a physical organ in the body but it is the mind. Let’s look at Romans 8:7: “The carnal mind is enmity against God: for it is not subject to the law of God, neither indeed can be.” Since the carnal mind is enmity against God, it cannot be subject to the law of God. The carnal mind is a problem. 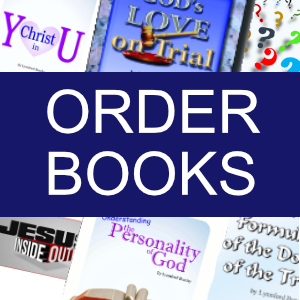 If you have a carnal mind, are you able to obey the law of God according to the Scriptures? No, you can’t! This carnal mind is equivalent to the heart we just read about that is deceitful and desperately wicked. It is a problem, isn’t it? As long as we have carnal minds, we cannot obey the law of God. Is it important to obey the law of God? How completely? Completely and perfectly, right? Is it possible? Yes! Jesus said, “If ye love me, keep my commandments.” (John 14:15) And how does this happen? By faith! This is the only way it can happen. Jesus said, “Be ye therefore perfect, even as your Father which is in heaven is perfect.” (Matthew 5:48) Jesus told us that we must be perfect, and He didn’t stop here, He continued, “even as your Father in heaven is perfect.” That’s the highest standard that we could ever try and live up to. Can we do it of ourselves? No! It will never happen, will it? Of ourselves we can never reach that perfection, but there is a way, isn’t there? Jesus wouldn’t lift up a standard that is impossible to reach. We must be perfect! But this cannot happen as long as we have a corrupt heart. Jesus illustrated this principle when He said, “A good tree bringeth not forth corrupt fruit; neither doth a corrupt tree bring forth good fruit. For every tree is known by his own fruit. For of thorns men do not gather figs, nor of a bramble bush gather they grapes. A good man out of the good treasure of his heart bringeth forth that which is good; and an evil man out of the evil treasure of his heart bringeth forth that which is evil: for of the abundance of the heart his mouth speaketh.” (Luke 6:43-45) Jesus also explained, “For out of the heart proceed evil thoughts, murders, adulteries, fornications, thefts, false witness, blasphemies.” (Matthew 15:19) If you have a corrupt heart, then evil thoughts and evil deeds will naturally come out in the life. If evil thoughts and actions come out of your heart, it demonstrates that you have a corrupt heart, for if it were pure, good thoughts and actions would come out. Jesus said, “Blessed are the pure in heart: for they shall see God.” (Matthew 5:8) Woe unto them who are impure in heart, for they shall not see God. Jesus often pointed to the inward change that must take place. Rebuking the self-righteousness of the scribes and Pharisees, Jesus warned, “Woe unto you, scribes and Pharisees, hypocrites! for ye make clean the outside of the cup and of the platter, but within they are full of extortion and excess. Thou blind Pharisee, cleanse first that which is within the cup and platter, that the outside of them may be clean also.” (Matthew 23:25, 26) When the inside is cleansed, the outside will naturally be clean. But when the inside is dirty, it is very difficult to try to make the outside clean. The Pharisees were very good at trying to make their outward lives conform to the law of God. They were so zealous for the law they even added their own laws to make them appear more pious than God required, yet Jesus revealed that their hearts were still corrupt. Jesus admonished us, “Except your righteousness shall exceed the righteousness of the scribes and Pharisees, ye shall in no case enter into the kingdom of heaven.” (Matthew 5:20) All of their supposed righteousness was not enough for the scribes and Pharisees to make it into heaven. Jesus said you must have something better or you will not enter the kingdom of God. These Jewish leaders were starting at the wrong place. They were trying to become clean from the outside in, but this is the opposite of God’s plan. He wants to clean the inside first, and then the outside will be clean also. I recently read a very insightful comment on this subject that I would like to share with you. It says, “There are many who try to reform by correcting this or that bad habit, and they hope in this way to become Christians, but they are beginning in the wrong place. Our first work is with the heart.” (Christ’s Object Lessons, page 97) There are basically three types of people in this world: 1) Those with a corrupt heart who enjoy doing wickedness. 2) Those with a pure heart who enjoy doing righteousness. 3) Those with a corrupt heart who try to do righteousness even though their heart constantly longs to do wickedness. Of all of these people, group number 3 is very miserable, for they are constantly trying to do something they don’t want to do, they are trying to force themselves to do good when in their hearts they only want to do evil. This group usually tries to do good out of a sense of duty because they think, in this way, they will earn salvation. When Jesus was here, do you think it was a burden for Him to do good? Did He wake up in the morning and say, “Oh, I wish I didn’t have to go out to preach and heal those people again, I would rather go watch the events at the coliseum”? No! It was His delight to do the will of God. He didn’t consider it a burden. Jesus said, through His prophet, “I delight to do thy will, O my God: yea, thy law is within my heart.” (Psalms 40:8) When the law of the Lord is in our hearts, it is a delight to do the will of God, not a burden. John said, “For this is the love of God, that we keep his commandments: and his commandments are not grievous.” (1 John 5:3) If we find it grievous, or a burden to keep God’s law, then we can be sure that the law of God is not within our hearts because, if it were, it would be a delight to obey it. It was a delight for Jesus, and it can be a delight for us too. Jesus “loved righteousness, and hated iniquity.” (Hebrews 1:9) Paul encourages us to “Let this mind be in you, which was also in Christ Jesus.” (Philippians 2:5) Paul assures us that we can “have the mind of Christ.” (1 Corinthians 2:16) This is what the new covenant is all about. “This is the covenant that I will make with them after those days, saith the Lord, I will put my laws into their hearts, and in their minds will I write them.” (Hebrews 10:16) Many Christians claim to be New Covenant Christians while they proclaim that the law has been done away with. This cannot be! A New Covenant Christian has the law of God written in his heart, and obedience to that law will be a natural result of the new covenant. He will experience the same results that Jesus had from having the law in His heart. The believer will delight to do the law of God, just as Jesus did. Jesus said we must be perfect. How does that happen? When a church leader came to Jesus by night, Jesus said, “Ye must be born again.” (John 3:7) This man was a Pharisee, expert in the art of cleaning the outside of the cup, making everything appear clean, while the inside was still dirty. Jesus said to him, “Ye must be born again.” He also said, “Except a man be born again, he cannot see the kingdom of God.” (John 3:3) It is of vital importance to be born again. Without this experience, we cannot enter into heaven. As long as we have a carnal mind, we cannot obey God, we cannot please God. Let us notice something else that we have by birth. We have sinful flesh also. Did Jesus have sinful flesh? The Bible says, “In all things it behoved him to be made like unto his brethren.” (Hebrews 2:17) Jesus had the same flesh and blood that you and I have. He had sinful flesh. God sent “his own Son in the likeness of sinful flesh.” (Romans 8:3) Now, when Jesus was born did He take upon Him the nature of Adam before he fell? According to Hebrews 2:16, God tells us that Jesus took upon him “the seed of Abraham.” What kind of a person was Abraham? He had sinful flesh didn’t he? In verse 14 God says, “Forasmuch then as the children are partakers of flesh and blood, he also himself likewise took part of the same.” (Hebrews 2:14) The children are partakers of flesh. What children was he talking about? Children of Adam, descendants of Adam. Jesus had the same flesh and blood that Abraham had, the same flesh and blood that you and I have. The Bible says that Jesus partook of the same flesh that we have. This is vitally important because John tells us that the antichrist denies that Jesus came in the flesh. (1 John 4:3) It is very important for us to understand what it means that Jesus came in the flesh. Our real problem is the carnal mind. If we have a spiritual mind but still have sinful flesh, can we overcome? Of course we can overcome, because Jesus did it, didn’t He? So, the carnal mind is what has to go, not the sinful flesh. David recognized this, as demonstrated by his prayer after he sinned with Bathsheba. David asked God to create in him a “clean heart.” (Psalm 51:10) David understood that he had a problem. He had a carnal mind that led him into sin; he had a heart problem. He needed a change, so he asked God to give him a new heart. In Ezekiel 36:26, God promises, “A new heart also will I give you.” Who is God speaking to? That’s right, to you and me, each one of us. He’s speaking to you, today, right now. He says, “A new heart also will I give you.” That’s comforting isn’t it, especially when we read about what our hearts are like. We need a new heart, don’t we? He says, “A new heart also will I give you, and a new spirit will I put within you, and I will take away the stony heart out of your flesh.” Well that’s encouraging! Of the stony heart, He says, “I’m going to take it away. I’m going to take it out of your flesh,” and then He says, “and I will give you an heart of flesh. And I will put my spirit within you, and cause you to walk in my statutes, and ye shall keep my judgments, and do them.” (Verse 27) Whose heart does God offer to give us, whose spirit? It’s His Spirit. If it was anything less, or anything other than that, what good would it do? It wouldn’t do any good, would it? He offers to give each one of us a new heart and we need it. Without this transformation, without this heart transplant, we’re never going to obey God. We can try, but the carnal mind is enmity against God and it cannot be subject to the law of God. No matter how hard you try to make this carnal mind subject to the will of God, it’s not going to happen. That is interesting. We have received the Spirit of adoption whereby we cry, Abba, Father. Paul used this phrase in another place. In Galatians 4:6 it says a very similar thing. “Because ye are sons, God hath sent forth the Spirit of his Son into your hearts, crying, Abba, Father.” So who does the crying, “Abba, Father?” The Spirit of His Son. Let’s turn back to Romans chapter 8:16, “The Spirit itself beareth witness with our spirit, that we are the children of God:” We become the children of God by receiving the Spirit of Christ into our lives. And of course Jesus doesn’t come alone, does He? Remember, in John 14:23 Jesus said, “If a man love me, he will keep my words: and my Father will love him, and we will come unto him, and make our abode with him.” The Father and the Son both come and make their abode in our hearts. Isn’t that encouraging? Do you remember the message to the Laodicean church? Jesus says they think they are rich and increased with goods and need nothing, but in reality they are poor, wretched, blind, and naked. They are in need of everything, but they think they need nothing. And what is Jesus doing in Revelations 3:20? He says, “Behold, I stand at the door, and knock.” He wants to come in. What does that tell you? He’s outside, right? That’s the problem with the Laodicean church. If Christ is outside what do they have? They still have a carnal mind, right? Don’t be discouraged, Jesus gives us hope. He continues, “If any man hear my voice, and open the door, I will come in to him, and will sup with him, and he with me.” So, there is hope, even for the Laodicean. If Christ is outside, we need Him to be inside, and He is trying to get inside. He wants to be there. When Christ was outside did they have a form of godliness? They had a form of godliness, didn’t they? They thought everything was fine. They thought they were rich and increased with goods. They were equivalent to what Jesus said about the Pharisees. Everything on the outside seemed to be clean, but the inside is filthy. That is the problem of the Laodicean. You’ve heard the statement, “If the shoe fits, wear it.” If this is a description of us, then we have a problem. We need Jesus inside. Now, what is a result of having Jesus inside? Let’s look at 1 John 3:6-8. It says, “Whosoever abideth in him sinneth not: whosoever sinneth hath not seen him, neither known him. Little children, let no man deceive you: he that doeth righteousness is righteous, even as he is righteous. He that committeth sin is of the devil; for the devil sinneth from the beginning. For this purpose the Son of God was manifested, that he might destroy the works of the devil.” Jesus wants to destroy the works of the devil. Where? In us, in each one of us, sin is to be destroyed. Verse 9 says, “Whosoever is born of God doth not commit sin; for his seed remaineth in him: and he cannot sin, because he is born of God.” Who is His seed? Christ is His seed and if His seed remains in a person, what happens? It says he “doth not commit sin.” So if there is sin, known sin, in our lives anywhere, what is that evidence of? Let’s be honest with ourselves. That means we still have our carnal mind, right? If there are known sins in our lives then we have a big problem. The problem is that Christ is still outside knocking. If He were inside what would happen? The known sins wouldn’t be there, would they? At the point of conversion does God reveal every sin to us at once? No! He doesn’t. If He did we would be overwhelmed. He reveals what we can handle at the time, but from there He’s got a process He wants to lead us through. He wants to bring us higher and higher, continually revealing more light to us so that we more perfectly reflect His character. If we live up to all the light God gives us, then we are perfect at every stage of development even though we have not yet gained full knowledge of God’s will for us. Now, is God going to reveal unknown sins to you while you are still practicing known sins? Ideally He wants us to get rid of all the known sins first before He leads us to the next step. I mean it would be useless for Him to try and bring us to the next step when we’re still stumbling back here. Jesus said, “Take therefore no thought for the morrow: for the morrow shall take thought for the things of itself. Sufficient unto the day is the evil thereof.” (Matthew 6:34) God doesn’t want you to take thought for tomorrow, He wants you to deal with what you have on your plate right now. He says, “Take care of that and then we will work on what’s going to happen tomorrow.” So we need to live up to the light that we have right now, and then He will give us more light. Now I want to tell a story about my conversion. I used to be a drug addict. I used to be extremely involved in drugs, alcohol, filthy music, filthy language, and just about everything else you can think of that is filthy. That was my lifestyle, and it was miserable. But one day the Lord was able to touch my heart, to give me a realization of who I was, how wicked I was, how completely lost I was. At the same time He gave me an overwhelming desire to change. I didn’t want to stay that way; I didn’t want to stay in that condition. He opened my eyes to see what I was like but the problem was I didn’t know what to do about it. I wanted to change but I didn’t know how that change could take place. For about a month and a half I was in this condition. I was miserable! I wanted to do good but I was always doing the wrong thing over and over again. I didn’t know how to do good. I didn’t know what was supposed to take place. I didn’t know how to pray. At that time I had not yet asked Jesus into my heart, but I wanted Him there. I just didn’t know how this could happen. Fortunately, God did not leave me in that condition. I am thankful that my dad came down from Minnesota (I was living in Tuscon, Arizona at the time) to help me. He came down and offered to give me a ride back to Minnesota, to get me out of the place where I was. All my friends were drug addicts, so it was a bad environment for me to be in. It seemed that if I stayed there I would keep doing drugs even though I wanted to quit. I told everyone I was quitting but pretty soon, out of habit, I was noticing myself still doing it. It was a difficult situation. Well I had no other choice; I didn’t have any other options, so I went back and did what my dad told me to do. I knelt down and asked God to take away my stony heart and give me a new one, and I asked Jesus to come into my heart. I wanted to be a new person. I got up from that prayer and it was just as my dad said it would be. I didn’t notice anything different. I didn’t notice any big change, but I did what my dad told me, I continued to believe. I said to God, “I’m going to take you at your word.” I was naive enough to believe God’s word, and accept it just like it reads. You know the Bible says we need to be like little children. That’s the way I felt. We all need to be simple enough to accept God’s word just as He said it. “Okay God, I believe that you have given me a new heart.” I kept that in my mind, and I kept thinking about that continually, and pretty soon, just like he said, after about two or three days I could see for sure the evidence that I had a new heart. The things that I once loved I now hated, and the things that I once hated I now loved. It was a complete transformation and I knew it didn’t come from me. I knew it was something that God had done. This is the way that conversion is to take place—trusting God and taking Him at His word. It was easy for me, at that time, to realize how wicked I was and that I needed a new heart. It’s a little harder after you’ve been a professed Christian for ten or twenty years or since childhood, to realize how deplorable of a condition you are in. But if there is still known sin in your life, you’re just as bad off as I was when I was on drugs. Isn’t that right? The known sin has to go. If it is not gone, then the problem is with your heart. Your heart needs to be removed and you need a new heart. We need to take the Bible just as it says, and accept God’s promises. When He says he will do something, He will do it. Paul talked about Abraham in Romans 4:20-22, when he said, “He staggered not at the promise of God through unbelief; but was strong in faith, giving glory to God; And being fully persuaded that, what he had promised, he was able also to perform. And therefore it was imputed to him for righteousness.” He believed that what God said, He was able to do. That’s exactly what I did. When I was on drugs, I had no other choice but to take God at His word, and that’s what I did. And you know, God honored His promise. He fulfilled his promise to me and He can do the same for each one of you today. The Bible says, “As ye have therefore received Christ Jesus the Lord, so walk ye in him.” (Colossians 2:6) The very same way we receive Christ is the way we are to continue to walk in Him. How did you receive Christ? By faith! This is how we receive Christ and this is how Christ lives in our hearts. Let’s turn to Ephesians 3:16, “That he would grant you, according to the riches of his glory, to be strengthened with might by his Spirit in the inner man.” Where? In the inner man, this carnal mind has to go. We have to have God’s Spirit in the inner man. Then it says, “That Christ may dwell in your hearts by faith.” (verse 17) The Bible says Christ dwells in your heart by faith. The same way that He got in there to begin with is the same way He stays there. By faith! Is He going to stay there any other way? Is He going to get in there initially any other way? No! By faith is the only way that Christ can come into your heart and that’s the only way He is going to stay there. When I asked God to give me a new heart and asked Jesus into my life, I believed that what He said He would do, and I kept believing that. Now, today, can we keep believing that or have we forgotten it? It’s easy to forget, but we need to keep believing it. We need to keep in mind that Christ is in us by faith. If you’ve asked Him into your heart and you believe He came in, then He’s there by faith. Let’s turn to John 6:56 where Jesus said, “He that eateth my flesh, and drinketh my blood, dwelleth in me, and I in him.” What does it mean to eat His flesh and drink His blood? Let’s take one at a time. Look what it says in verse 63, “It is the spirit that quickeneth; the flesh profiteth nothing:…” If you eat His flesh, literally, it’s not going to do you any good. That’s what the Jews thought He was talking about. But He said, “the flesh profiteth nothing: the words that I speaketh unto you, they are spirit and they are life.” He wants us to eat His words. And drinking his blood, what does that mean? What does the blood represent? Life! “The life of the flesh is in the blood.” (Leviticus 17:11) Remember when Jesus talked about the vine and the branches. He said, “I am the vine, ye are the branches: He that abideth in me, and I in him, the same bringeth forth much fruit: for without me ye can do nothing.” (John 15:5) He said, “Every branch in me that beareth not fruit he taketh away.” (John 15:2) Now what happens if you cut a branch off from a vine? It dies very quickly, doesn’t it. But if it stays on the vine what happens? It can live, because it draws life from the vine. The life of the vine flows into the branches. Once there is a separation the branch dies. We need to maintain that connection. Christ in us is our life. The Bible says, “He that hath the Son hath life; and he that hath not the Son of God hath not life.” (1 John 5:12) If you do not have Christ in you, you do not have life in you. We need to be connected to that vine and that is what drinking His blood is. It is taking that life-giving sap, so to speak, from the vine, having that life flowing into you, having Christ in you. So it’s really having His Spirit living and abiding in you, that is drinking His blood. Eating his flesh is to feast upon His word. Now does that mean you just do a memory verse every day and you commit to memory all the words of the Bible. Is that really eating the word? It is not going to hurt you to memorize the Bible, however, Satan knows the Bible better than any of us, doesn’t he? Does it transform him? Obviously not! Memorizing the Bible is not enough. That’s not really eating it. When He tells you to eat His flesh, eat His word, He’s talking about more than just memorizing it in your head. He wants you to digest it. When I read about the promise of God giving me a new heart, before I accepted it and acted upon it, had I eaten it? Not really. But I knew it, I read it. To really eat it, or digest it, we must take it in and let it become a part of us, we must act upon it. After I asked God for that new heart and I continued to believe in that promise, then I had eaten it. Jeremiah said, “Thy words were found, and I did eat them; and thy word was unto me the joy and rejoicing of mine heart.” (Jeremiah 15:16) He lived by those words. Jesus said, “Man shall not live by bread alone, but by every word that proceedeth out of the mouth of God.” (Matthew 4:4) We need to live by that word, to act upon it, and that is eating it, when it becomes a part of us. If those promises haven’t become a part of you yet, then you haven’t eaten them yet. You may have them in your memory. Maybe there are certain promises that do not apply to you yet, or you don’t need them yet, but once you accept those promises and live by them, then you have eaten those words. That is what we need to do. Jesus said if we eat His flesh and drink His blood then we dwell in Him. Then He said Christ dwells in us. Is there a difference? What’s the difference between me dwelling in Christ and Christ dwelling in me? Christ dwelling in us is fairly simple to understand. Christ dwelling in us means His Spirit is in us, His life is lived out in us. But it says that if we eat His flesh and drink His blood we also dwell in Christ. How do I dwell in Christ? I can understand how He dwells in me, but how can I be in Him? There’s a verse that I believe explains this fairly well. It is 1 Corinthians 12:13. It says, “For by one Spirit are we all baptized into one body, whether we be Jews or Gentiles, whether we be bond or free; and have been all made to drink into one Spirit.” It says by one Spirit we are all baptized into one body. When the Spirit of Christ comes into us we are baptized into one body. When we are part of the body of Christ then we are in Christ. We are members of His body. What makes us members of His body? Christ in our hearts! So we cannot have one without the other. You can’t dwell in Christ and not have Christ dwelling in you, because Christ dwelling in you is how you got in Christ, into His body. Also you cannot have Christ dwelling in you and be outside of His body. When I say “body” I am not talking about His physical body, but the body of Christ is the church. It is made up of those who have the Spirit of God in them. If you have the Spirit of God in you then you are one of His, part of His body, and that’s how we dwell in Christ and Christ dwells in us. Let’s look again at John 15:4. Jesus said, “Abide in me, and I in you.” Notice they come together, you can’t have one without the other. He said, “Abide in me and I in you. As the branch cannot bear fruit of itself,” If you cut the branch off, is it going to produce any more grapes? No, it cannot bear fruit of itself. He said, “No more can ye, except ye abide in me.” He said, “Without me you can do nothing.” (verse 5) Now look at verse 7. I want you to remember what Jesus said in verse 4, “abide in me and I in you.” Now in verse 7 He says a similar thing. “If you abide in me and my words abide in you…” Did you notice the difference between those two statements? Jesus interchanged part of His statement with something else. In verse 4 He said, “If you abide in me and I in you” and verse 7 He said, “if you abide in me and my words abide in you.” How does Christ dwell in us? Through His words. Christ dwells in your hearts by faith. By faith in what? That’s right! By faith in His word. So when that word abides in you, when you find those words and you eat them, then His word is abiding in you. Let’s look at 1 Thessalonians 2:13. It says, “For this cause also thank we God without ceasing, because, when ye received the word of God which ye heard of us, ye received it not as the word of men, but as it is in truth, the word of God,…” Is there a difference between the word of men and the word of God? There is a big difference, isn’t there. What is the main difference? “The word of God is quick [living], and powerful.” (Hebrews 4:12) What about the word of men? The word of men is dead and powerless. If I were to say of this pulpit, “This is a green pulpit.” What would happen? Nothing, absolutely nothing! This pulpit would still be brown. I could take some paint and paint it and then it would become green, but my word itself had no power to make it green, did it? What if God said this pulpit is green, what would happen? It would become green immediately. Remember when God said, “Let there be light,” what happened? What was there before? No light, there was only darkness. God said, “Let there be light” and immediately “there was light.” (Genesis 1:3) God said “Let there be a firmament to divide the waters,” and immediately they were divided. That’s the way God’s word is. God’s word is powerful. When He says something it happens. It says in Isaiah 55:10, 11, “As the rain cometh down,… So shall my word be that goeth forth out of my mouth: it shall not return unto me void, but it shall accomplish that which I please, and it shall prosper in the thing whereto I sent it.” His word will accomplish what it says. Just like when I took Him at His word, I trusted in His word; His word did what it said. His word has the power in it to do what that word says. Paul said, “The word of God, which effectually worketh also in you that believe.” (1 Thessalonians 2:13) What works in you? The word of God! That’s what it says. He said that when you receive the word you didn’t receive it as the word of men, powerless, and dead, you received it as the word of God, living and powerful. And then it says, “The word of God which effectually worketh also in you that,” do what? “Believe!” What does it do in you if you don’t believe? Nothing. It doesn’t help you, does it? It works in those that believe. If you believe His word then it’s going to do something in you, and only then can it be said that you ate it. It becomes a part of you when it starts to do that work in you. It can’t do this work unless you believe in the word. The same way that Christ came into your life is the same way He needs to stay there, by faith. But as soon as that faith goes what happens? Christ goes, and sin returns. Right? Because Christ stays there by faith. We need to have more faith, don’t we? We need to continue to believe. That is what changed my life. The same way that you receive Christ is the way you are supposed to walk in Him. And when I received Christ it was by faith. In 1 John 1:9 it says, “If we confess our sins, he is faithful and just to forgive us our sins, and to cleanse us from all unrighteousness.” Now when we confess our sins what sins are we confessing? Sins that are past! That is all we can do. Does God forgive you for something you haven’t done yet? The Bible speaks nothing about Him forgiving you of something before you do it. It is folly to ask God, “Please forgive me for what I am about to do.” When we ask God to forgive our sins He is faithful and just to do that, but then He goes on. He is faithful and just also to cleanse us from all unrighteousness. How does He forgive you of sins? What exactly takes place? Let’s look at Romans 3:24,25, it says, “Being justified freely by his grace through the redemption that is in Christ Jesus: through faith in his blood, to declare his righteousness for the remission of sins that are past, through the forbearance of God.” So what happens is He exchanges His righteousness for our sins. There is a trade that takes place. The Bible says that when Christ was here His Father laid on Him the iniquity of us all. All of our sins were put upon Christ and so when we ask God to forgive us what we are doing is saying, “Lord take my sins and in return give me your righteousness. That is what happens. That is what forgiveness is. A. T. Jones turned it around, instead of “forgive” he said it means “give for.” God gives His righteousness for our sins. There is a trade that takes place. So this is what happens when our sins are forgiven. We stand before God as if we had never sinned, because we stand now, not with our unrighteousness, but with His righteousness. So all of our past life history is accounted to Christ and all of His past life history is accounted to us. Jesus said you must be perfect just like your Father in heaven is perfect. Are you going to do that on your own? That’s not going to happen. But that’s what the law requires: perfect obedience. If you offend in one point you’re “guilty of all.” (James 2:10) God requires perfect obedience. Anything less than that is unacceptable. But perfect obedience cannot be achieved on our own. The only way it will happen is if Christ lives His life in us, and that only happens by faith in His word, in His promises. James said, “ye have not, because ye ask not.” (James 4:2) You have not the Holy Spirit because you ask not for the Holy Spirit. Ask for it and then believe that what He has promised He will give you. God said in Ezekiel 36:27, “I will put my Spirit within you.” That’s a promise; it is there for the asking. We can all have that and His Spirit will give us immediate victory over all known sins. Do you believe that? Do you believe that it’s possible? Too often we think down the road two months from now, or two years from now, saying, “Later I’m going to stop doing this known sin that I’m practicing right now.” That’s ridiculous! If it’s not going to happen now how do you expect it to happen in two years? It has to happen now and when God gives us the victory over all known sins, then He’s getting ready to get us to the next step and reveal something that is yet unknown to us. Right now, if we would draw a picture of our experience with God comparing it with a plant maybe all we have is just a little tiny plant, just barely coming out of the ground. Are we full grown yet like a mature corn plant? No! We might be in a middle stage of our growth, but you now what? We are never going to get beyond this as long as we continue to practice known sin. Do you believe that? We’re stuck here until we have victory over these known sins, but then we’re still dwarfs, we still have a long way to go. We can’t expect to go from a young shoot to a full grown plant overnight. If we don’t start now, if we keep waiting for some future time to start growing, we’re never going to get to the place where God wants us to be. The Bible says we’re going to come to the fullness of the measure of the stature of Christ. We can’t get to that point instantly. It’s an ongoing process. This process is a work of a lifetime, but if you don’t get started soon, it’s not going to happen at all. We have to get started right now. We have to move forward. Job said, “That which I see not teach thou me: if I have done iniquity, I will do no more.” (Job 34:32) The Bible talks a lot about unknown sins, sins of ignorance. The whole chapter of Leviticus 4 is about sins of ignorance, sins that you don’t know you are doing. You know we talk about being in the body of Christ. Are there Sunday-keepers in the body of Christ? Of course there are! Trinitarians too? Should we go that far? Of course there are! How can they be in the body of Christ and still believe all these errors? They are doing as much as they know. Do you think you know everything? Probably not! Job didn’t know everything, so He asked God to reveal more light to him. There is a daily process of growing. I know when I first became a Christian I didn’t know everything that was wrong. I knew some things that were just so obvious, such as that I shouldn’t be smoking pot anymore, or cocaine, or stealing things. A lot of these things were just common knowledge, and everyone knew they are wrong. I knew it, so when I became a Christian I knew these things had to go, and they were gone immediately. But there were other things that I hung on to, that I didn’t think were so bad, like some of the music I was listening to. I was listening to some pretty bad music, like Slayer and Metallica, but when I became a Christian I thought, “Okay I’m going to keep some of this and just get rid of the bad stuff.” Well some of the stuff I kept you wouldn’t believe. I kept music from Black Sabbath, Ozzie Osborne, Iron Maiden, etc. I don’t know if you have heard any of these groups. This is what I was hanging on to. This is after I had already weeded out the bad stuff. Can you imagine what I had weeded out? What this demonstrates is that when you become a Christian you do not immediately know everything. Was I in the body of Christ when I still had those things? Sure I was! I didn’t know they were wrong at the time. I was living up to the light that God had shown me. At that time they were unknown but, very soon, God revealed to me that they were wrong too and had to go. There are a lot of other examples like that, things that I didn’t know about that God kept showing me. I remember one time I had hair down to the middle of my back and my dad was saying, “You need to cut your hair.” I was thinking, “No, no, no, I don’t need to cut my hair.” Then somebody read a verse to me that said, “If a man have long hair, it is a shame unto him.” (1 Corinthians 11:14) I read it right in the Bible and I thought, “Oh, I never knew that.” Guess what happened? The hair was gone the next day. That’s my experience. I was gung- ho for God. No matter what God was going to show me, I was going to do it, no matter what it was. Known sins were completely non-existent in my life. Everything I was dealing with were unknown sins. He kept leading me up and up to a higher path and He wants to do that for every one of us. But the moment we hang on to known sin is the moment that we stop our growth; we can’t go beyond that. We can’t go beyond where we put a road block in our path. But we know that we have a long way to go yet. If we don’t get our act together today, right now, we’re never going to get to that place where we have reached the measure the fullness of the statue of Christ. Where we are filled with all the fullness of God; it’s not going to happen if we don’t get started today. 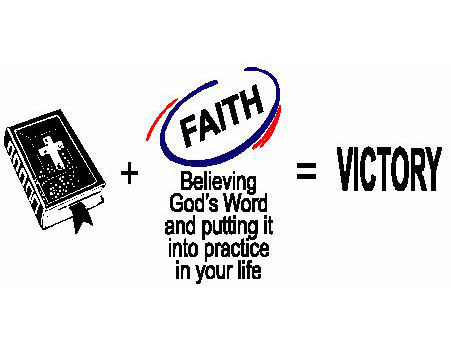 We can have instant victory over all known sins by faith in the word of God, which says that Christ dwells in us by faith. This is what we all need. If it’s not true in you today, pray for it now. We don’t have to wait until tomorrow, and we don’t have to wait until next week. The Bible says, “now is the day of salvation.” (2 Corinthians 6:2) We need to come to the realization that if we still have known sins in our lives we’ve got a problem. We still have that carnal mind plaguing us, and it’s got to go, and it can go immediately, right now, by faith, if we ask Him. But you have to continue to believe that what He said He will do and then He will do it in you.